Are the headlights in your P6 intermittent? Did you think you had a blown bulb only to find the headlamp inexplicably started working again? If this sounds like you, read on - you could be on the bring of electrical disaster. Owners of Series 1 cars and also those of very early series 2 cars (1971 model year only) can relax. You have the original style of fusing with the old fashioned Lucas fusebox in the engine bay. 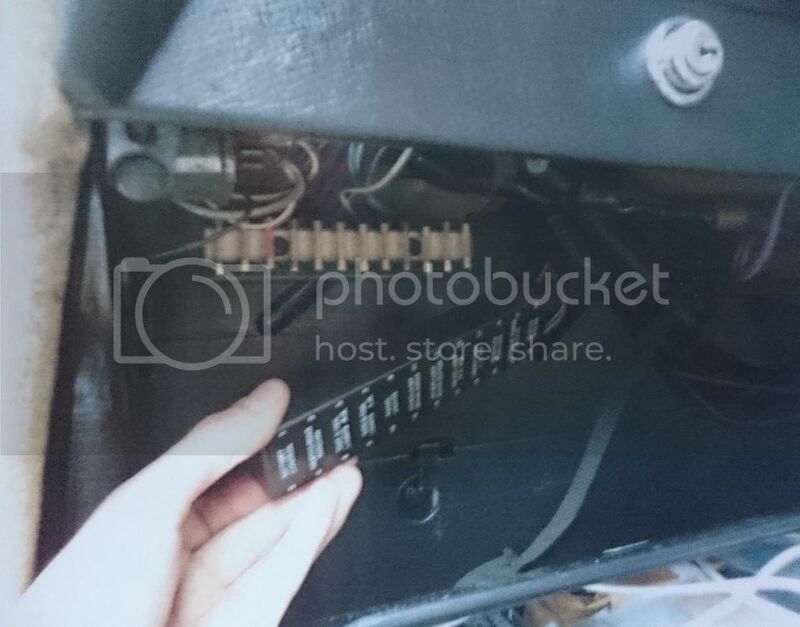 All post-71 series 2 cars (and earlier NADA series 1 3500S) have a fusebox located on the front bulkhead in the passenger compartment behind the passenger's knee locker/glovebox. This fuse box is unique to Rovers of the period and was also used in the P5B. In that application, it apparently gives no trouble at all - not so in P6! It has the unenviable accolade of being one of the few components in P6 that is genuinely under-fit for performance. The fusebox is made from an early nylon-like soft plastic which has an extremely low melting point. If you fancy a practical test experiment, it should be easily possible to induce fairly catastrophic melting to the lid with nothing more than a domestic hairdryer - you might even generate a flame by these means. 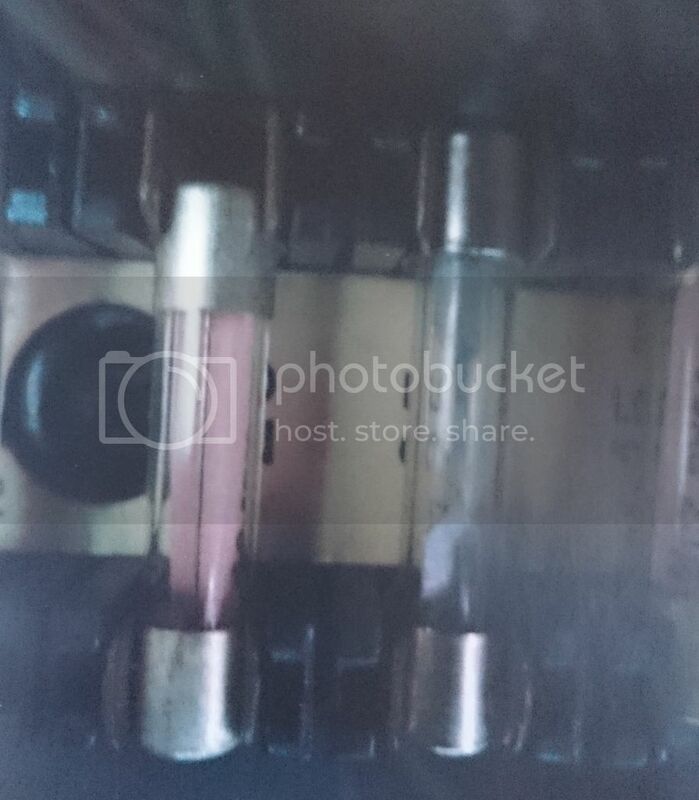 Because of this and its hidden location, any problem with the fusebox is therefore only a whisker away from burning out the entire car before you're likely to detect something is wrong. The fuse holders are designed to accept imperial 1¼" (32mm) glass fuses. These are generally difficult to source nowadays, although eBay is a good source. As a result, many fuseboxes now have 30mm metric fuses in their holders. As well as being shorter, these are slightly thinner with the result that the surface area of contact between the holders and the fuses is both smaller and poorer. This leads to overheating of the fuse holders - clearly very undesirable. The design of the sprung contacts means they are prone to opening wider as the surrounding plastic softens with heat, making the contact with the fuses even poorer and exacerbating the problem. It appears the manufacturer of P6 wiring looms used a fairly lacksadaisical approach to crimping the wires to the fuse holder terminals. These are located on the back of the fusebox and extremely difficult to access in situ. Again, poor connections lead to highly undesirable localised heating of the plastic. A clear symptom that all is not well is occassional loss of single headlamp. The left and right outer lamps are fused separately to prevent complete loss of lighting in the event of a blown fuse. However, the wires for the lamps are only connected to one of the two blades that make up the sprung fuse holders, as can be seen on some (but not all) of the terminals in the picture below (ie, second and third holders from the left). The other side is there simply to provide a spring clamping action and not electrically connected to the system. The net result is that the full current draw of the headlamp is put through a single tiny surface area on just one side of the fuse. Make a specific check of all the fuses you have fitted and check they are the correct rating, and that all are 32mm long. Make a specific check that all the fuse holder blades are clean and free of grime. A bit of fine emery cloth or contact cleaner wouldn't go amiss here. Gently squeeze the blades together so they grip the fuse tightly. 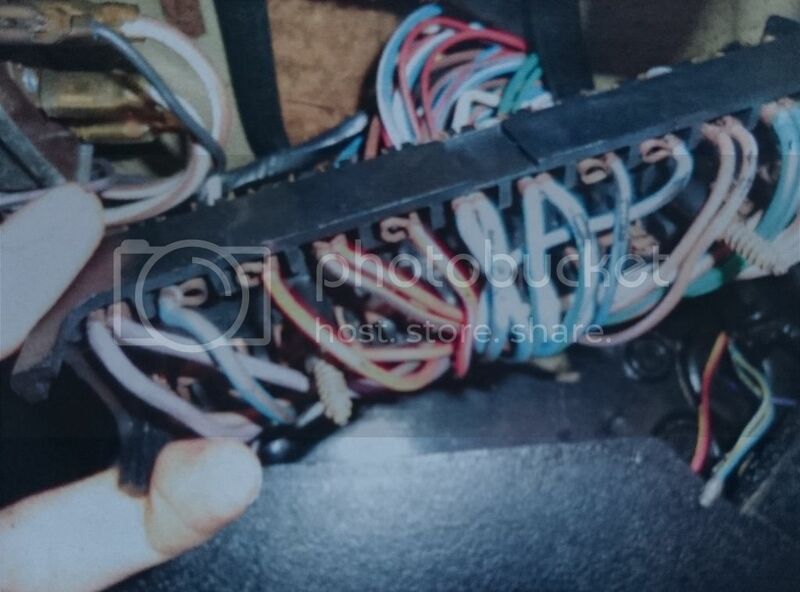 Remove the screws that secure the fusebox to the bulkhead and turn it over in situ. Use long nose pliers or similar to give the wires an extra crimp onto the blade contacts. If you suspect the slightest degree of trouble, stop and feel the warmth of the fusebox. It should be ambient temperature at all times. The only true solution to this problem is to fit relays behind all of the headlamps. Simply take a main positive feed from the back of the alternator, make up a suitable junction and put the feeds through a relay and then to the back of all the lights. Put the the normal headlamp wires onto the switching side of the relay. With this setup, the only current drawing being put across the fusebox is enough to switch the relay. You can get car relays with removable modern blade fuses in them which will continue to offer the requisite protection to your wiring loom in the event of a short at the lights.